This image is a composition of 179 images taken by Petr Štarha from the top of Býšovec mountain in Bohemian-Moravian Highlands during excellent moonless night. 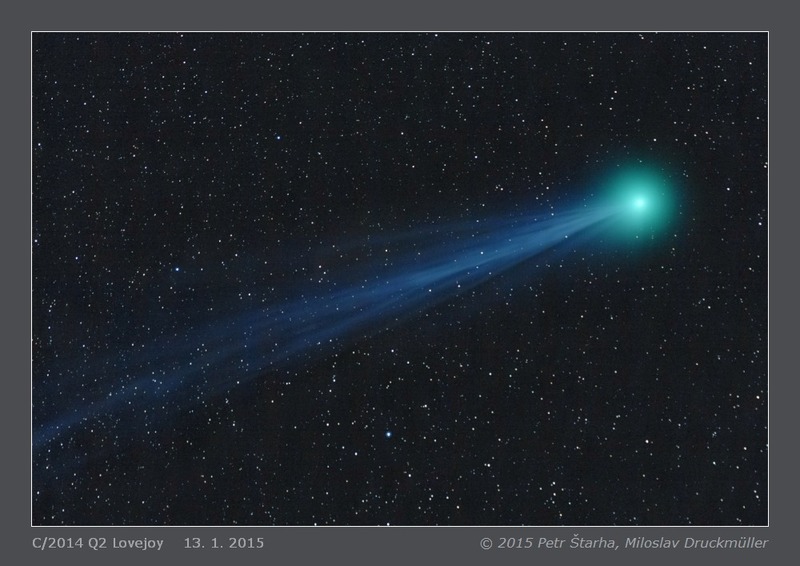 Lovejoy comet was 1.32 AU far from the Sun and 0.49 AU far from the Earth. The movement of the comet in the sky was 6.9 arcsec/min. Click on the image or on the following reference to display the higher resolution image version (1.8 MB, PNG format).